Janet M. Angstadt is the co-head of Katten's Chicago Financial Services practice. She focuses her practice on broker-dealer and exchange compliance issues and advises companies on matters regarding compliance with the regulations of the US Securities and Exchange Commission (SEC) and self-regulatory organizations (SROs). Janet represents clients in a wide range of legal and regulatory matters, including mergers and acquisitions, SRO investigations, compliance issues related to registrations, sales practice, short sales, Regulation NMS, market-making and options and equities order handling. She advises on alternative trading systems, including dark pools and electronic communication networks, policies and procedures for trading systems development and testing and exchange-traded funds (ETFs). Janet counsels large, full-service broker-dealers, exchanges and clearinghouses as well as firms with market-making, proprietary trading and algorithmic models. She also advises market centers on equities and derivatives market structure initiatives, including market access, market data, new products and SEC policy initiatives. In addition, Janet conducts independent compliance and technology reviews and audits related to enforcement action settlements. Before joining Katten, she served as general counsel to NYSE Arca, Inc., an electronic equities and options exchange. As general counsel of NYSE Arca, Janet worked extensively on market structure and regulatory compliance issues and managed the company’s membership and registrations departments. Prior to the merger of the New York Stock Exchange and Archipelago, she served as the deputy general counsel of Archipelago, where she created and implemented key company policies, including the company’s procedures for development and testing of exchange technology. Janet also managed the compliance programs for Archipelago’s four affiliated broker-dealers and played an integral role in legal and regulatory matters involving human resources, intellectual property and mergers and acquisitions, including Archipelago’s acquisition of the Pacific Exchange and its merger with the New York Stock Exchange. Earlier, Janet was senior vice president and counsel to the capital markets group of EVEREN Securities, Inc. She also was senior counsel for the SEC’s Division of Market Regulation where she was a member of the three-person study team for the Market 2000 Report. Shown below is a selection of Janet’s engagements. 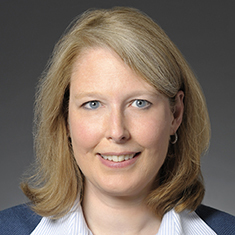 Partner Janet Angstadt Authors Article in Capital Markets Law Journal on "Flash Crash"